1.1. 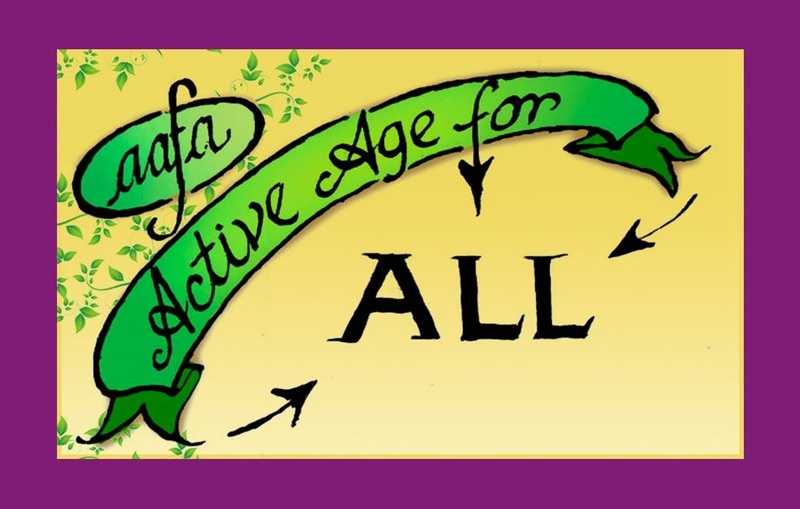 The name of the Association shall be Active Age for All, hereinafter called AAfA. (a) To provide a focal point for active people who are 55 and over to meet and engage in leisure, recreational, educational, cultural, sporting, and social activities. (b) To promote a spirit of self-help and independence and to encourage members to use their energy, talents, skill, knowledge and experience to benefit each other and the community. (c) To encourage positive attitudes to ageing and retirement. 1.3. AAfA shall be non-party political, non-sectarian and non-profit. 2.1. Membership shall be open to all people 55 years and over living in the general area of Donabate-Portrane Peninsula and environs. Members are entitled to vote and engage in the administration, management and control of the AAfA. 2.2. The annual subscription of members shall be decided by the Annual General Meeting and shall be payable in advance not later than 31st January each year. On receipt of payment a membership card shall be issued to each member. 2.3. For the purposes of membership and administration, membership of AAfA will run from 1st February to 31st January of the following year. Renewal of membership will take place in January at times and dates decided by the Executive Committee and any new member joining in January to be deemed to be a member with immediate effect and continue to be a member until 31st January of the following year. 2.4. Applications for membership shall be subject to the approval of the Executive Committee. 2.5. The Executive Committee shall have power to fix charges for services if necessary. 3.1. There shall be an Executive Committee made up of voluntary members to carry out the policy of AAfA and to provide for its administration, management and control. It shall consist of four Officers (a Chairperson, Vice-Chairperson, Secretary and Treasurer) and not less than three nor more than seven ordinary members. The Executive Committee shall have the right to co-opt not more than two additional Members and to fill vacancies. 3.2. The Executive Committee shall be elected by the Members at the Annual General Meeting. The Officers shall be elected by the Executive Committee from among its members at its first meeting. 3.3. No Officer may hold the same office for more than two years. 3.4. The Executive Committee may appoint from amongst its Members such other Honorary Officer(s) as it may determine from time to time. It shall have the sole right to appoint sub-committees as required and to co-opt members to serve on such sub-committees. It shall also have the power to co-opt Members to fill vacancies. 3.5. The Executive Committee shall meet at least once each quarter. The lowest whole number greater than half of the Executive Committee membership shall constitute a quorum for an Executive Committee meeting. 3.6. The Executive Committee and sub-committees shall hold office until the following Annual General Meeting, except in the event of a resignation whereby there can be a co-option to fill this position. 4.1. Not less than 21 days notice of all general meetings, Annual or special, shall be given to members. 4.2. The Annual General Meeting of AAfA shall be held in January. All motions and nominations must be in the hands of the Secretary not less than seven days before the date of the Annual General Meeting. Nominations for the Executive Committee and for Auditor shall be made in writing by two current members, having received the consent of the Nominee. (a) Minutes of previous A.G.M. (b) Annual report submitted by the Secretary. (c) Financial report submitted by the Treasurer. (d) Election of Members of Executive Committee. 4.4. A special General Meeting shall be held within thirty-five days if directed by the Executive Committee or demanded in writing to the Secretary by not less than twenty current Members who in their requisition shall state the purpose of such meeting. No other business shall be transacted at that Special Meeting. Twenty current Members shall constitute a quorum at a General Meeting of AAfA. 5.1. The personal property of AAfA shall vest in the Chairperson, Secretary and Treasurer for the time being of AAfA who shall hold such property in trust for AAfA. 5.2. The Executive Committee shall open a credit union and/or post office account on behalf of AAfA and any withdrawal from the said account(s) shall be signed by two people who are not members of the same family or connected (i.e. two spouses or civil partners, two siblings, a parent and offspring or otherwise at the discretion of the Executive Committee), one being either the Treasurer or the Assistant Treasurer, the other being either the Chairperson or the Secretary. 5.3. Correct accounts and books shall be kept showing the financial affairs and receipts and disbursements of AAfA. An Auditor, who is not a member of the Executive Committee, shall be selected at the Annual General Meeting and shall have access to inspect these records at any reasonable time and shall comment on the accuracy of the annual accounts presented at the Annual General Meeting. 5.4. Only €50 “discretion money” may be spent by an Executive Committee member without sanction by the Executive Committee. 5.5. In the event of AAfA winding up, all monies shall revert to community endeavours. 6.1. Alterations and additions to this Constitution may be made at any Annual General Meeting or at a Special General meeting by a motion supported by at least two thirds of the Members present and voting. 7.1. The Executive Committee shall, subject to the authority of a General Meeting, be the authority for the interpretation of the Constitution and shall have full power to decide on any matter not provided for in this constitution.